To expedite the immigration procedure at the Ninoy Aquino International Airport, the Department of Transportation has installed a number of electronic gates at the airport. The agency aims to cut the passport review from the current 45 seconds to 15 seconds for first time users, and 8 seconds for those who have previously registered their passports at the gate, according to Immigration Commissioner Jaime Morente. 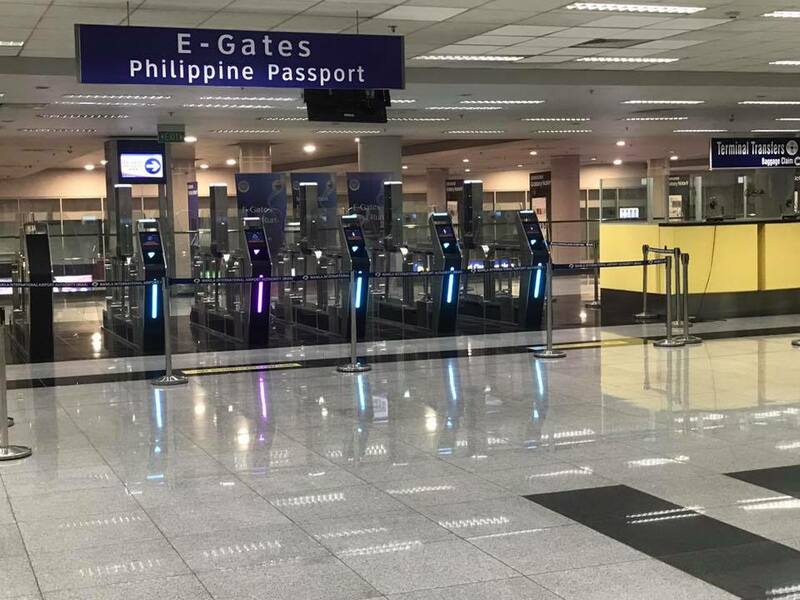 A total of 11 immigration e-gates were installed in NAIA Terminals 1 and 3, while 10 other e-gates will be set up across five different airports in the country. Before the end of 2018, 21 electronic gates are expected to be installed at five major international airports in the country. Five will be installed at the Mactan international airport, three at the Clark international airport and two at the Davao international airport. In addition to speeding up the immigration clearance process, the project will also enhance the BI’s ability to detect passengers with derogatory records, including wanted fugitives and those who are in the immigration blacklist, watch list and hold departure list, Morente said. The electronic immigration gates are provided with modern security features such as facial recognition, biometric scanning, bar code reading, and smart card recognition. According to OIC Deputy Commissioner Marc Red Marinas, head of the Bureau of Immigration’s Port Operations Division, the P329 million E-Gate project was funded by the government and by the International Air Transport Association. Travelers entering the Philippines who are holding Philippine passports are eligible to use the electronic gates at the arrival areas at selected Philippine airports. At the moment, young children, senior citizens, passengers on wheelchairs and other handicapped travelers need to pass through the regular immigration counters (those with immigration officers). Likewise, not allowed at the e-gates are those who are wearing eyeglasses, electronic devices like headphones or airpods, sunglasses, hats or face masks. Such things must be removed before a passenger can use the gates. Scan your boarding pass at the entrance of the gate. Face the screen and follow the instructions (look at the camera and scan your right index finger) displayed. Claim your arrival sticker and affix it at a blank page of the e-passport.